Dr. McFarlane graduated with a Bachelor of Science degree and his Doctorate of Dental Medicine in 1984 from the University of Manitoba. 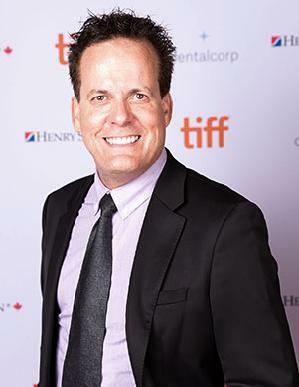 He then practiced as a general dentist for six years in Brandon, Manitoba before returning to the University of Western Ontario where he graduated in 1992 as a Specialist in Orthodontics. He then returned to Manitoba and established an orthodontic practice in the Medical Arts Building in Winnipeg, and a second office in Kenora, Ontario. In 2005, Dr. McFarlane built his present office on Taylor Avenue in Winnipeg, rebranding it as “Festival Orthodontics,” and then again in 2013 as a member of the Village Orthodontic Group. Dr. McFarlane is well-known in Manitoba as one who “gives back” through involvement in various charities and philanthropic organizations. His philanthropy also crosses borders; he organizes a yearly “McFarlane Mission” to a third-world country to provide volunteer dental and medical services to those less fortunate. This has become a real passion, and he will continue with such missions and encourages others to do so as well; they are great perspective changers! The other loves of Dr. McFarlane’s life are his three children: Sarah (who has three children of her own), Blair, and Michelle. He is extremely proud of them, and hopes to continue to inspire them to seek excellence in their own lives. In his spare time, Dr. McFarlane enjoys physical activity (workouts and yoga), sushi (he even has his own roll - the “Dr. B Roll” at Wasabi Sabi in Winnipeg), and hockey (go Jets!). Dr. McFarlane lives life with passion and drive, and encourages those around him to do the same. Along with his team of talented individuals at Village Orthodontics in Winnipeg, he loves what he does and it shows every day! Because Louis Trepel wouldn't stop bugging me! But seriously- I am a Manitoba Booster who loves cool charities, good causes, and tough challenges! I think it is something that Manitoba really needs as we continue to grow and prosper as a province. I have lots of friends in remote locations as leisure time residents- and I know they are particularly accident-prone!